Karen is a writer, photographer & bestselling author. Karen Walrond is the author of the bestselling book The Beauty of Different and a contributing author to the books Disquiet Time and Expressive Photography. In addition, her writings have also appeared on Huffington Post, Sheryl Sandberg's LeanIn.org, and Wondertime, Good Housekeeping and Redbook magazines. Her words are always positive, encouraging readers to tap into their own superpowers. THE BEAUTY OF DIFFERENT explores beauty in nine fresh ways and challenges the reader to revel in her own uniqueness. Combining beautiful imagery, portraiture, insightful commentary, essays, and interviews, this multi-sensory exploration of what is really beautiful provokes deeper self-discovery, and encourages the reader to reframe her differences, not as shortcomings, but as characteristics of distinction—maybe even superpowers. THE BEAUTY OF DIFFERENT contains intimate portraits of men and women who have discovered what makes them beautifully different. Spend time leafing through the pages, and you'll discover a whole new way of seeing yourself. When a photograph captivates you and stirs your soul, you know it instinctively. You not only see the image, you feel it. But how do you capture shots like that with your own camera? How do you make your photographs worth the proverbial thousand words? From portraits to landscapes, still-lifes to documentary shots, EXPRESSIVE PHOTOGRAPHY will not only show you why certain images sing, it will also teach you how to create your own compelling photographic images--one click at a time. 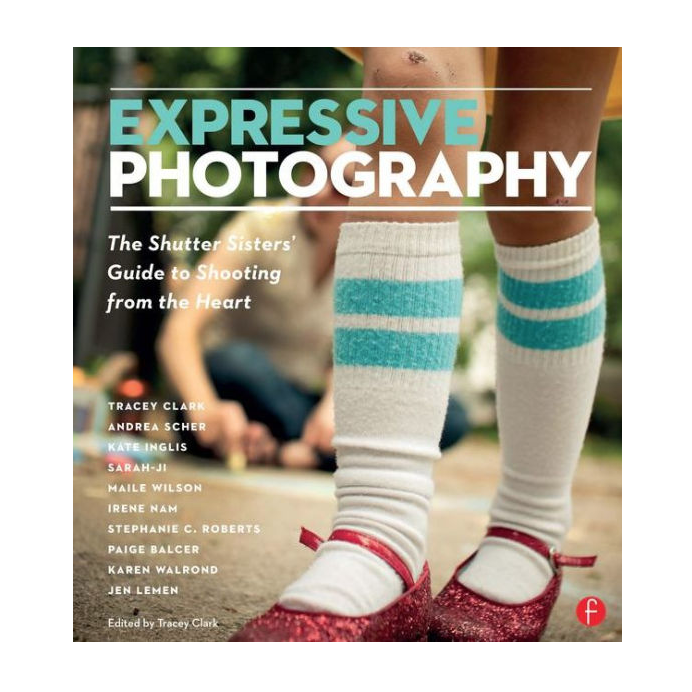 Visually stunning and unique in its collaborative approach, this book brings the spirit of the immensely popular Shutter Sisters' blog to the printed page through the voice and photography of its founding members.